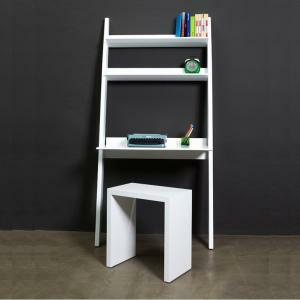 It is a sturdy configurable desk that uses no hardware, is extremely easy to assemble, very strong, and is a contemporary design masterpiece. Available in Oak Veneer in Espresso and Wheat, or Amber Bamboo. The design brilliance behind this clever desk system speaks for itself! The creativity is in making a clever contemporary home office so simple. Order this item for yourself or a unique gift now! Please call us to help you create the perfect home office at the toll free number above. Available in Oak Venneer with espresso or weat finish, or in Amber Bamboo. 47" x 47" corner desk: 47" W x 47"L x 29" desk height, 32" overall height, comes with three 12" shelves, holds up to six 12" shelves. 60" x 47" corner desk: 60" W x 47"L x 29" desk height, 32" overall height, comes with two 12" shelves and one 24" shelf, holds up to three 12" shelves and three 24" shelves. 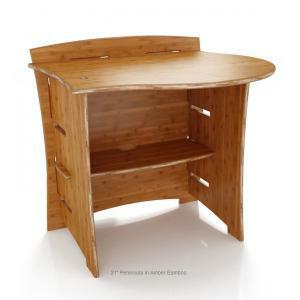 31" Peninsula: 31" W x 27" D x 29" desk height, 32" overall height, comes with one 24" shelf, holds up to three 24" shelves. 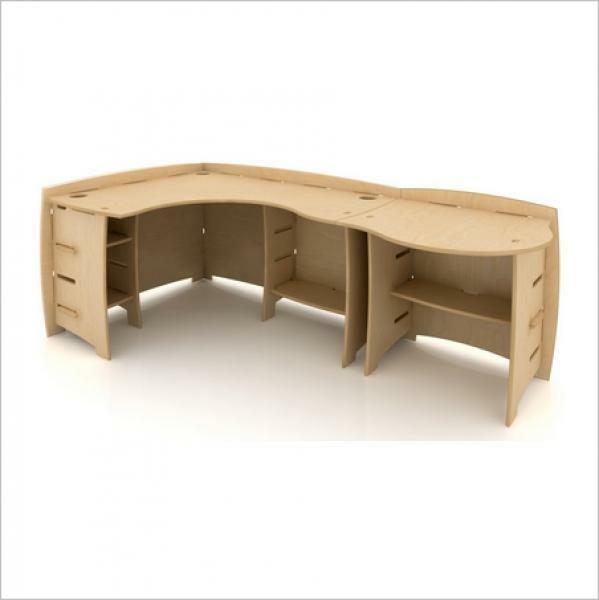 Peninsulas act as curvilinear end caps for our desks and can also be used in combination with Extension units. They provide that extra bit of collaborative workspace you always need.29" Accessory Shelf: convenient storage spot for small items. They slide right onto the riser at the back of any worksurface, and can be positioned anywhere along the back.